KM 125/130 R G 1280150201 https://www.kaercher.com/tn/professional/sweepers-and-vacuum-sweepers/vacuum-sweepers-ride-on/km-125-130-r-g-1280150201.html The new sweeping concept and the optional sweeping crescent side brush save you time. The Tact filter cleaning system and Teach system complement the range of features of this ride-on vacuum sweeper. The new sweeping concept and the optional sweeping crescent side brush save you time. The Tact filter cleaning system and Teach system complement the range of features of this ride-on vacuum sweeper. Why sweep corners by hand when there's a better way? 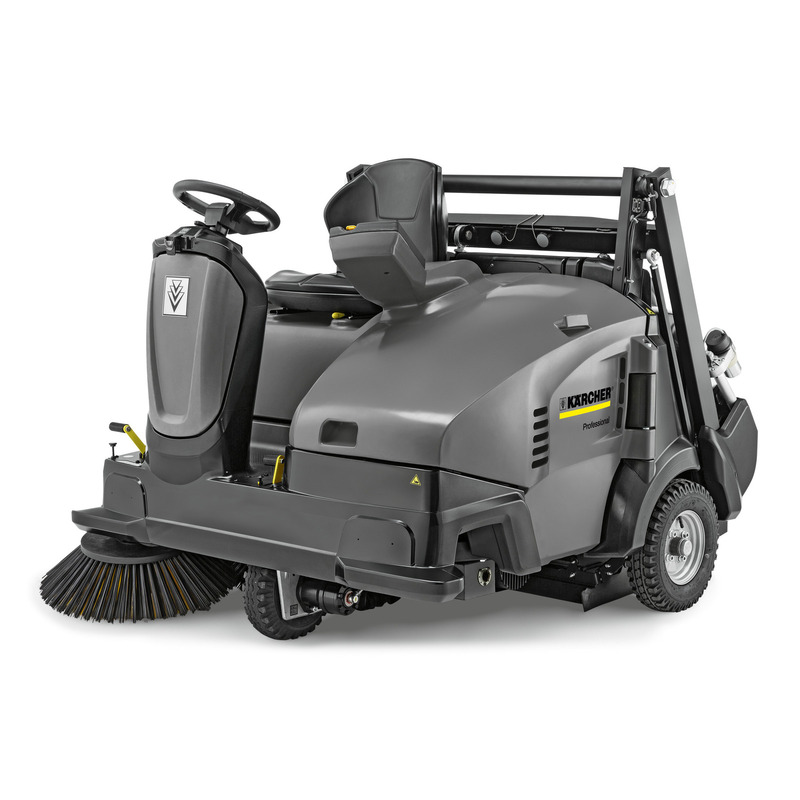 The KM 125/130 R G ride-on vacuum sweeper with electrohydraulic high container emptying and the optionally available sweeping crescent side brush can clean corners in a single pass. The standard version also impresses compared with other machines with its sweeping concept for cleaning corners, cutting the effort by half. The placement of the main sweeper roller between the rear wheels allows you to safely pass over even large steps, the Teach system monitors wear and tear, the roller automatically adapts to the height and always guarantees the best possible sweeping results. Three contact pressures can be set at the push of a button to accommodate different levels of dirt and types of surfaces. Additional patents and innovations allow you to work without dust (Tact filter cleaning) and to define different user privileges (Kärcher Intelligent Key System). The multifunctional display provides clear menu guidance in 28 languages and displays information on, for example, roller brush wear or the selected roller brush contact pressure.